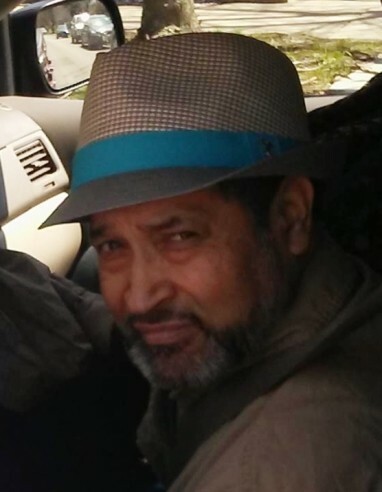 José "El Tarzan" Coss Gutiérrez, 53, of Chicago, IL passed away Thursday, January, 17, 2019 at 5:24 PM while in hospice care at Swedish Covenant Hospital. A celebration of life service will be held from 10 AM-2 PM at Christian Funeral Home located 3100 W. Irving Park in Chicago. Various family members will be speaking and saying a prayer in his honor. Burial will follow at 2:45 PM at St. Boniface cemetery. José was born on June 2, 1965 in Iztacalco, Distrito Federal, MX, raised in San Pedro Jácuaro, Michoacán, MX, and lived in Chicago, IL USA after emigrating at the age of 17 in March of 1983. José was never able to go to school as he was a hard working man from a very young age, but he was self-educated and modeled the way for life-long learning, reading and watching any educational material he could get his hands on. José enjoyed road trips, strawberry ice cream, chocolate, and action movies. Some of his memorable quotes are: "Don estres me out, don do et", "No me chingues la puta paciencia", and "Don play with my good nashur". One of José's favorite activities was what he called "boy scouting"; with his son, and then his grandchildren, he would tour the forest preserve at Illinois State Park Beach and teach them about nature and animals. One of of Jose's greatest accomplishments, second only to his family, was the day he became an American citizen on October 12, 2017. His family pays this tribute to him - "As the greatest factor to shape our lives, our hearts will never be the same without you - you will forever be sorely missed." José is survived by his wife Ana "sweetie heart", four children Isabel "Chavela" Jessica "Dati", Jennifer "Peloncita", José Jr "My son", and two grandchildren Pablo "My handsome boy", and Bethany "Benefit".